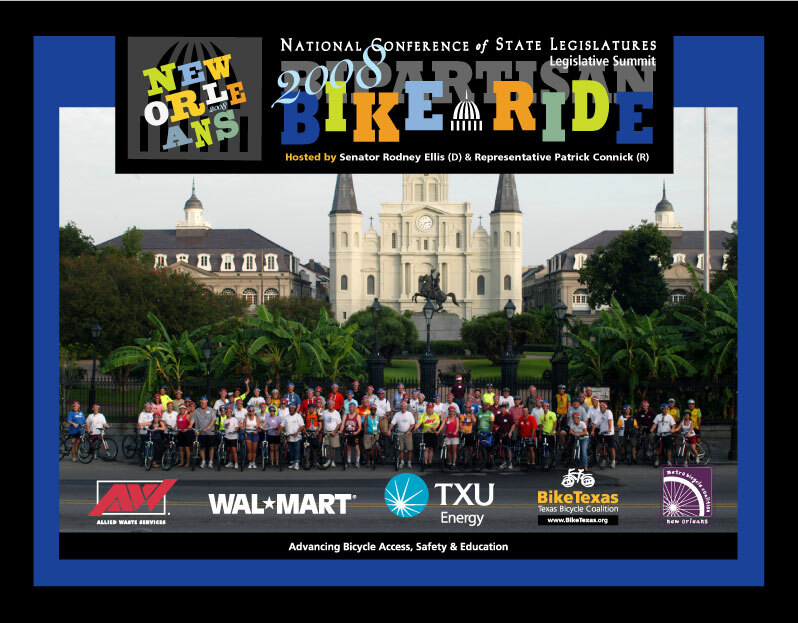 See past NCSL rides here! 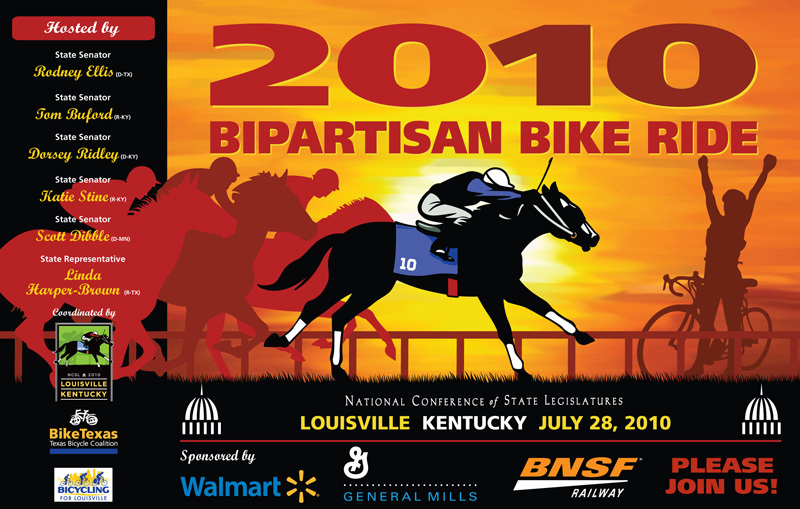 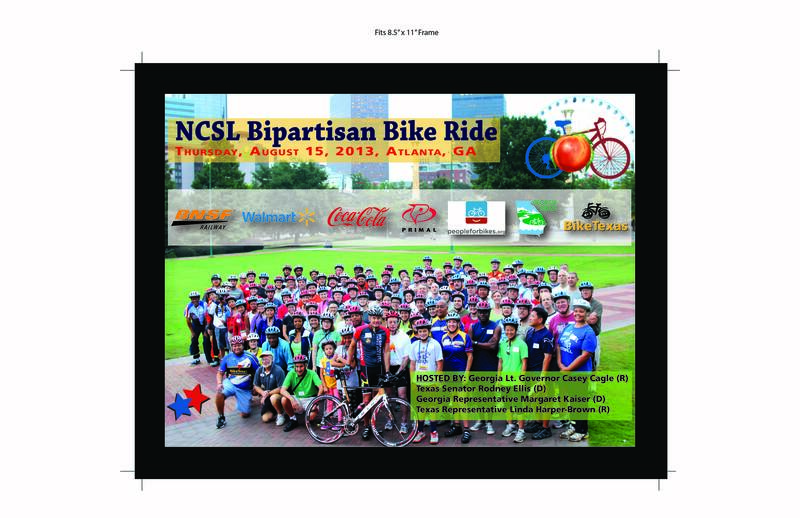 Thank you for joining us for the 11th annual NCSL Bipartisan Bike Ride on August 6, 2015! 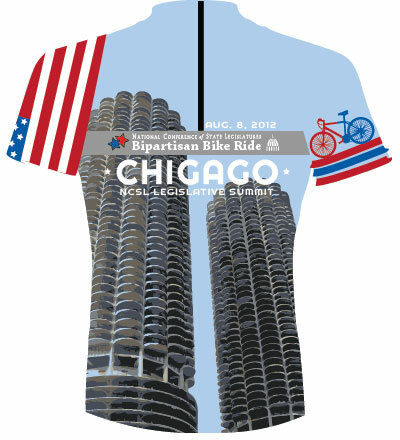 See and download ride photos on Flickr. 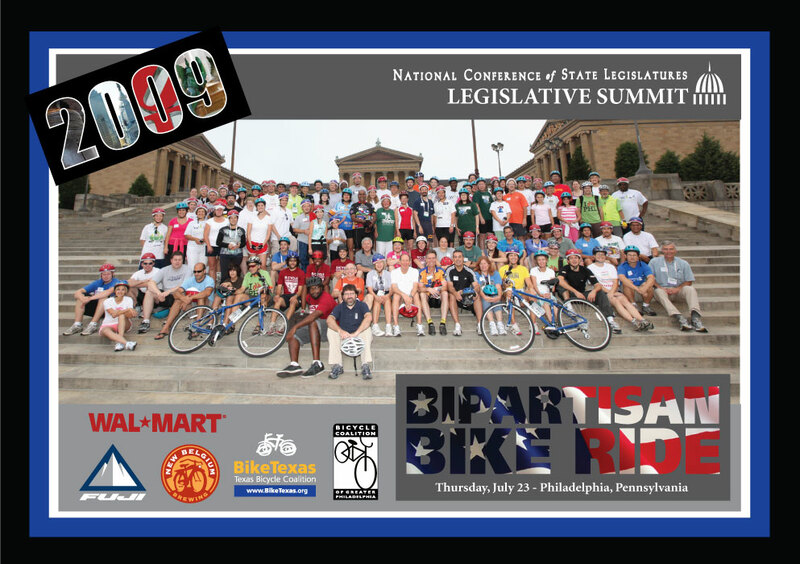 Download the group photo for framing here. 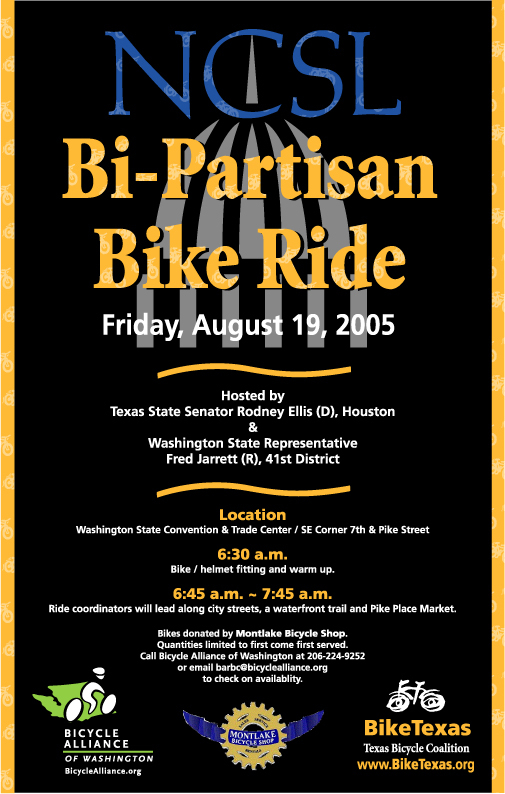 Print the photo on 11×17 paper and use the trim marks in the corners to fit it to an 8.5×11 frame. 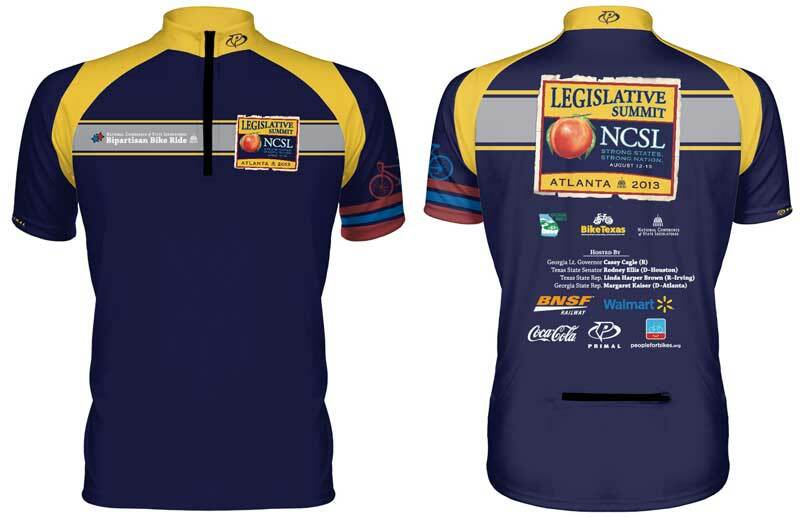 Walmart, General Mills, Primal Wear, People for Bikes, American Heart Association, and American Society of Civil Engineers. 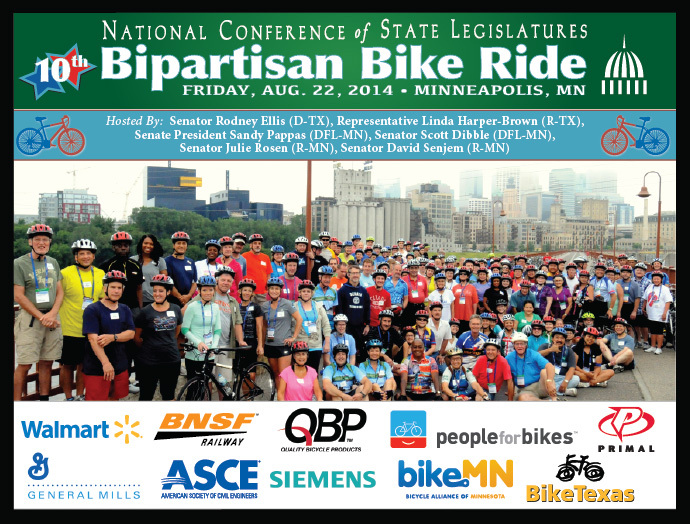 Thank you for joining us for the 10th NCSL Bipartisan Bike Ride on August 22, 2014 in Minneapolis! 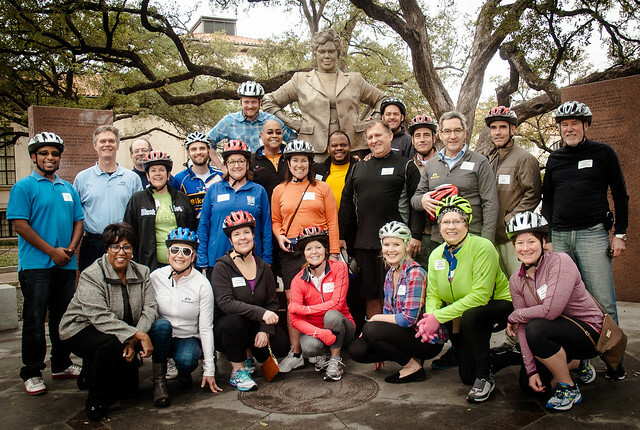 View the ride photos on Facebook, and please tag yourself! 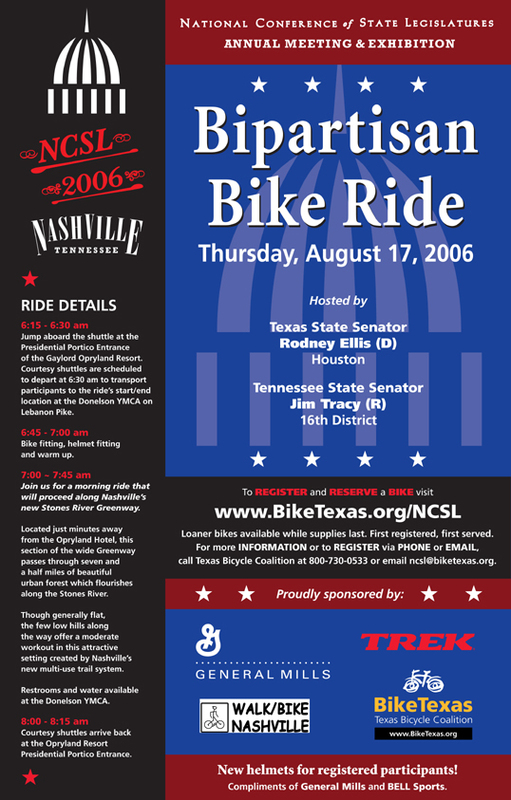 Facebook not your thing? 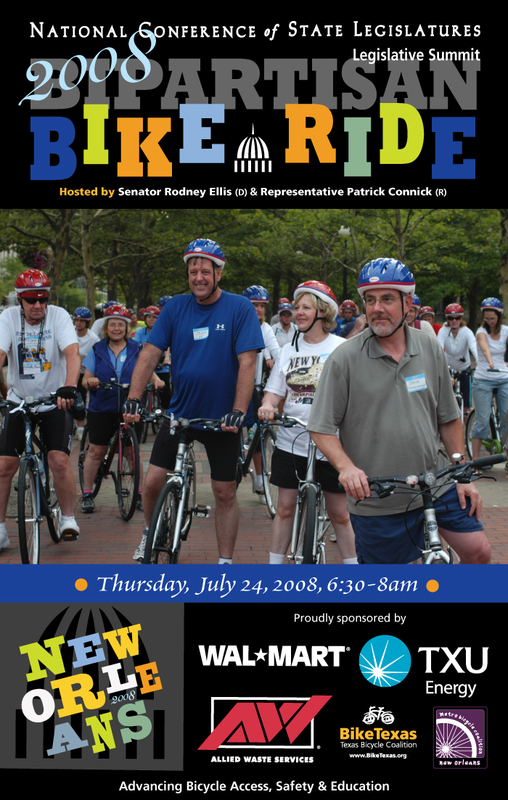 See the photos on Flickr here. 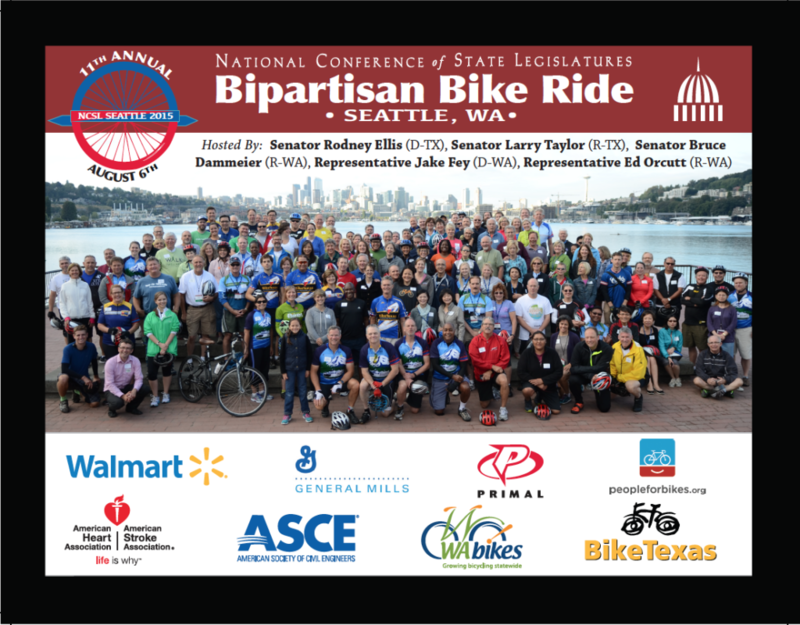 Thanks so much for attending the NCSL Legislator Bike Ride in Austin, January 31, 2014. 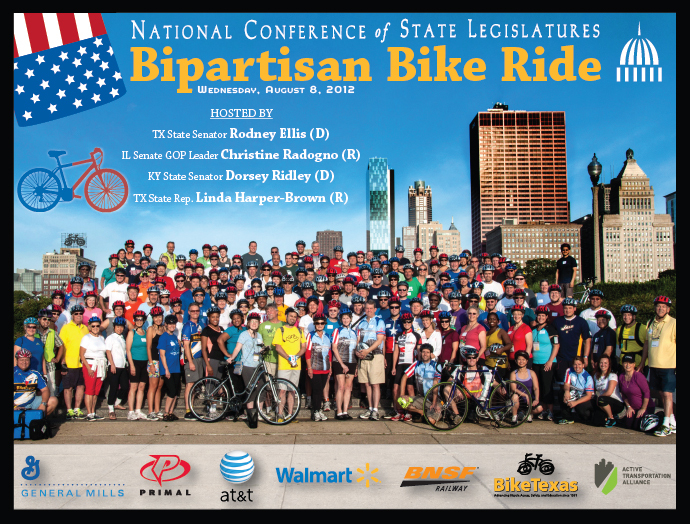 Thank you to all the participants, hosts, and sponsors of the 2013 NCSL Bipartisan Bike Ride! 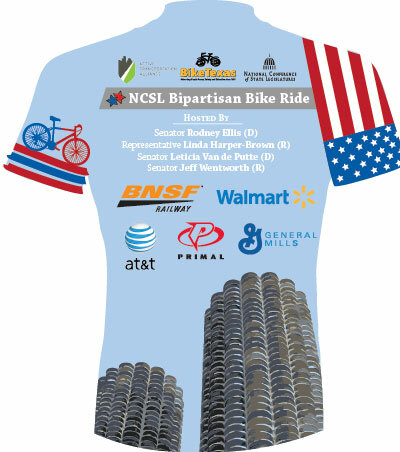 Sponsored By: Walmart, BNSF Railway, Primal Wear, People for Bikes, and Coca-Cola. 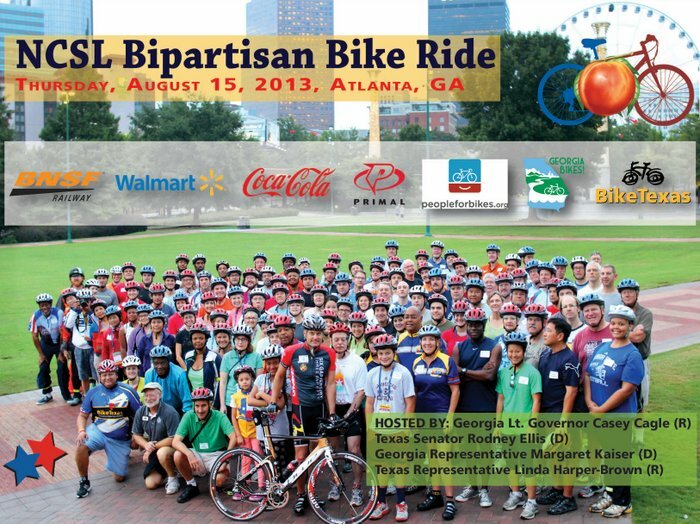 Coordinated By: Georgia Bikes! 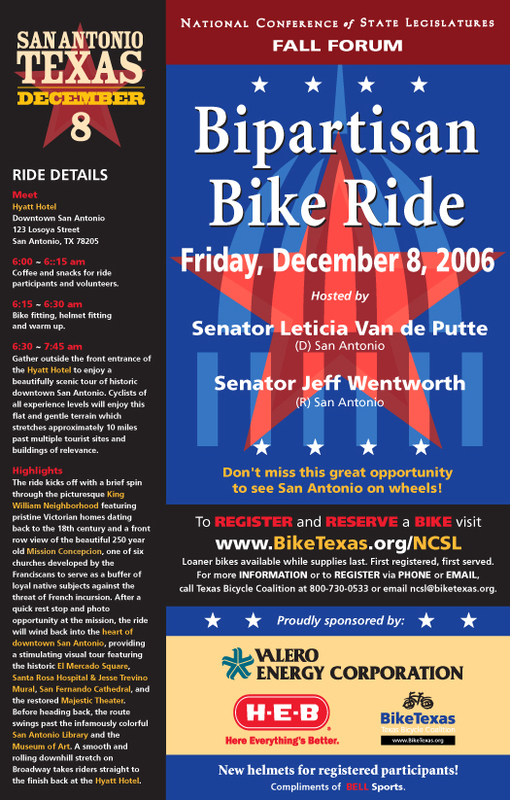 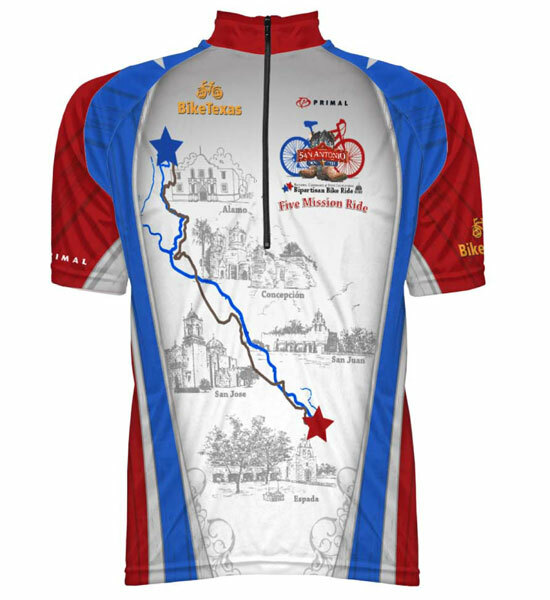 and BikeTexas. 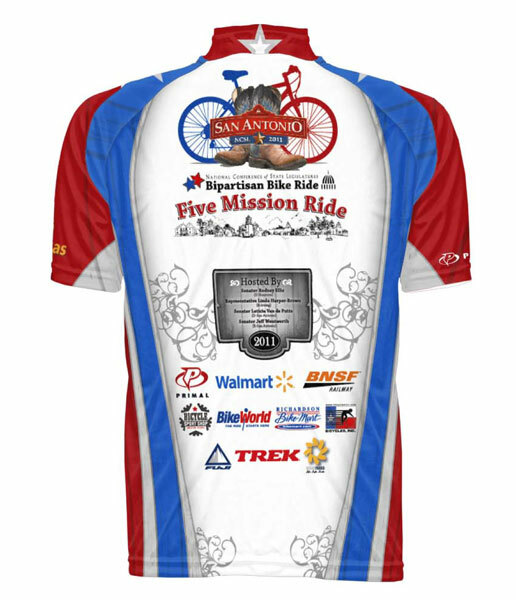 View the ride photos on Facebook. 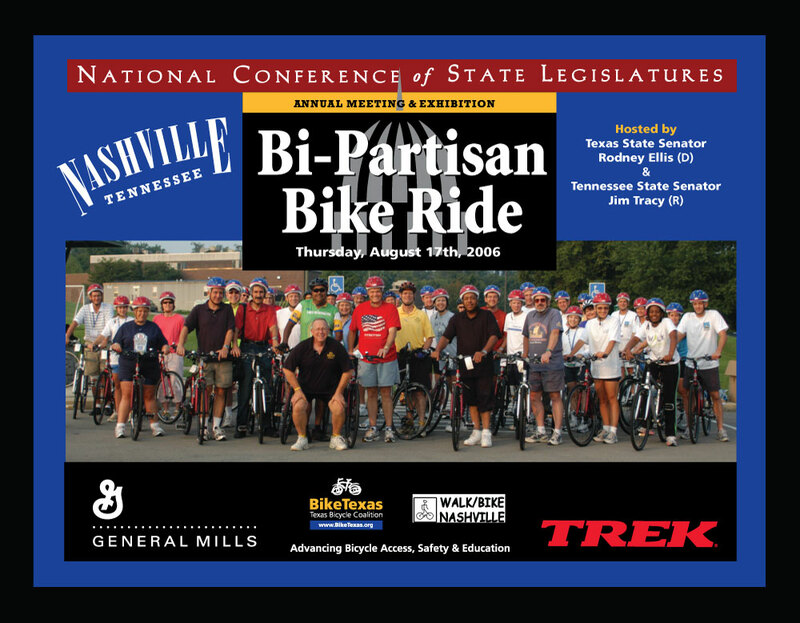 Please tag yourself! 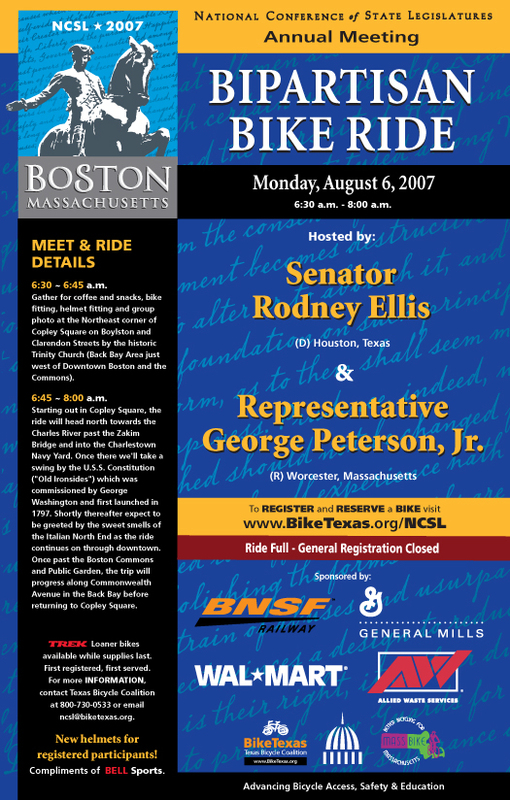 Not a Facebook user? 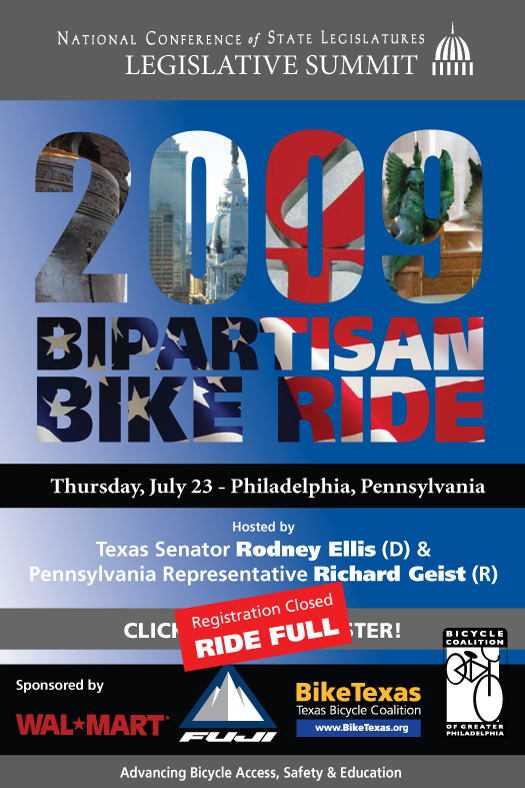 View the ride photos on Flickr. 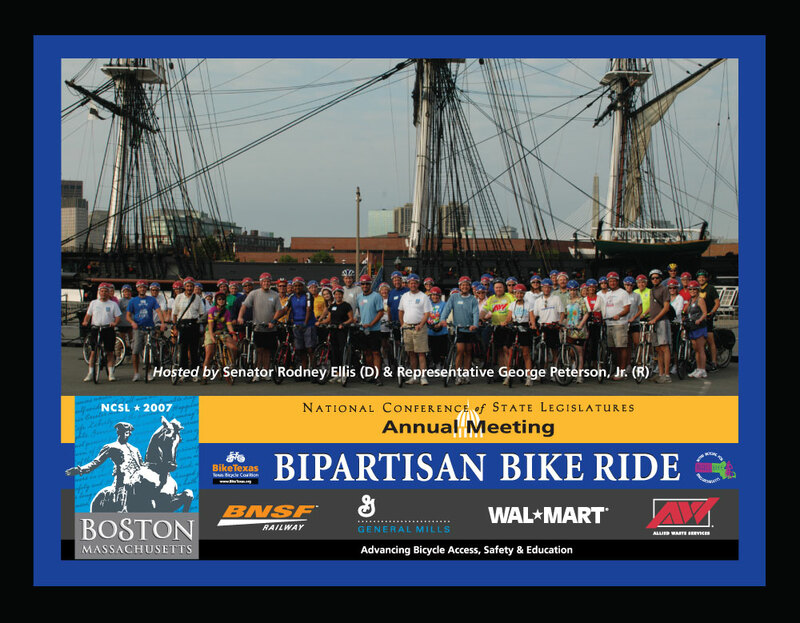 Thanks to all the participants, hosts, and sponsors of the 2012 NCSL Bipartisan Bike Ride! 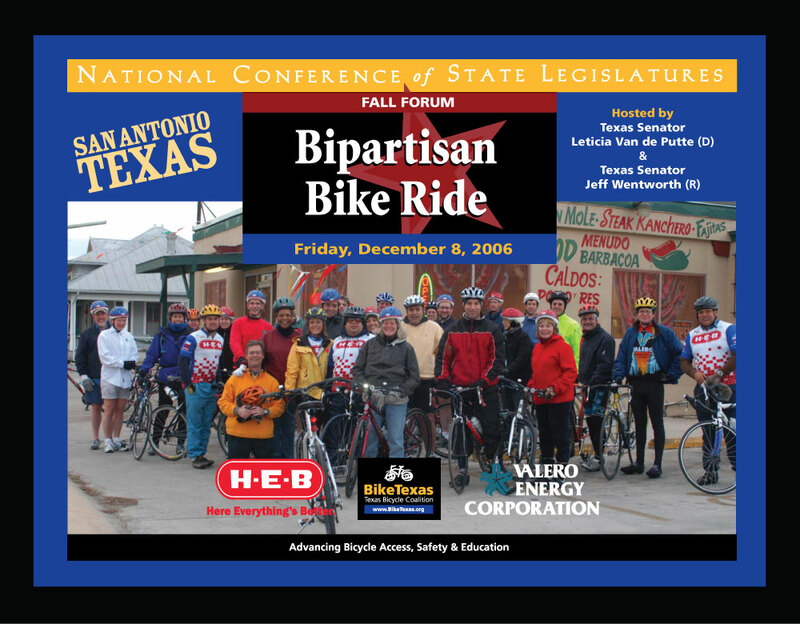 Be sure to Like BikeTexas & Tag yourself and your friends! 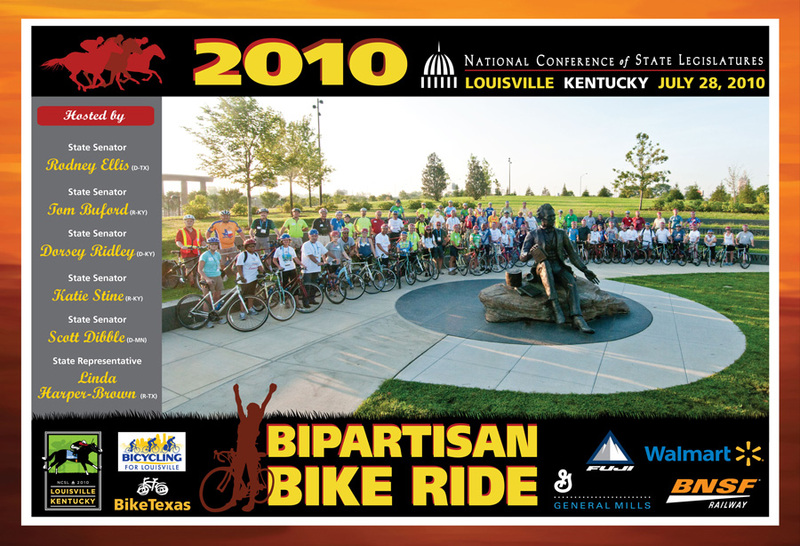 Thanks to all the participants, hosts, and sponsors of the 2011 NCSL Bipartisan Bike Ride!